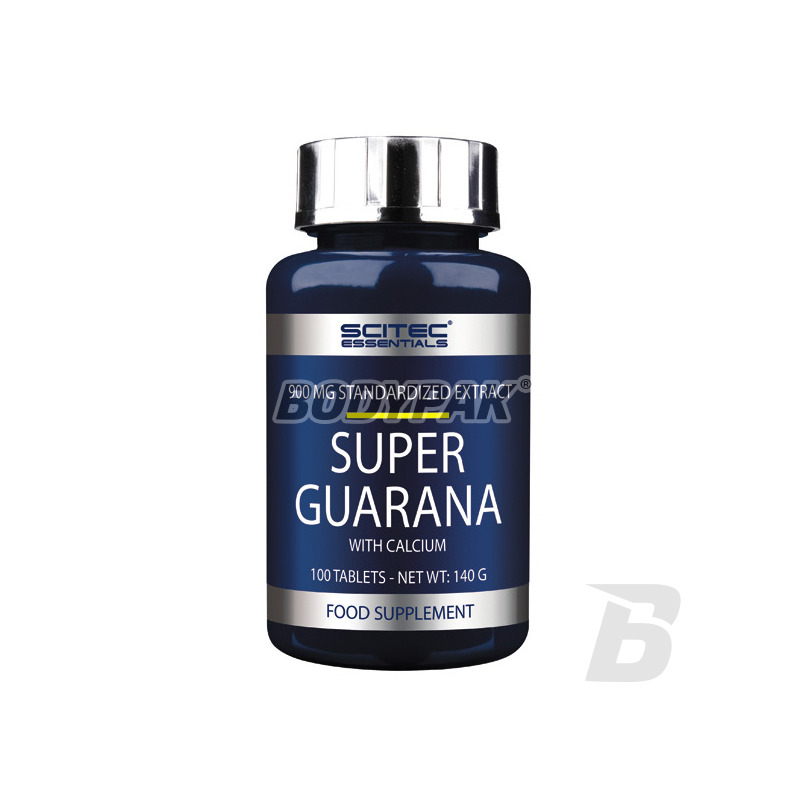 Health & BeautyScitec Super Guarana [with calcium] - 100 tabl. Panax Ginseng - Ginseng (Asian) has a very powerful effect. 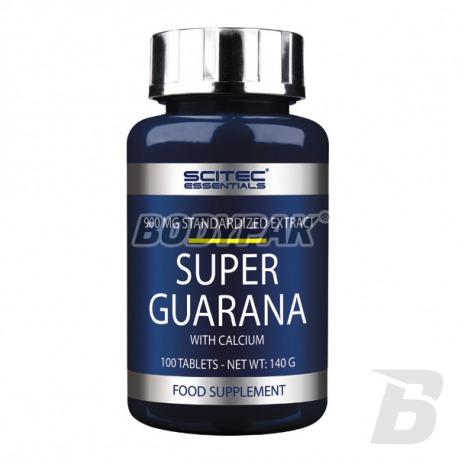 Scitec Super Guarana [with calcium] - 100 tabl. Excellent guarana with calcium - a natural source of caffeine. It provides long-lasting stimulation and provides energy for life! Top quality at a good price. Energy conditioner Sports Scitec Guarana contains the highest quality extract of guarana - climbing plant grown in Brazil. Guarana is a natural source of caffeine - contains 3 times more caffeine than coffee. As a natural energetics increases concentration and logical thinking ability, improves physical fitness and quickly "put on their feet." Supplement Brand Scitec fully supports the effectiveness of training in strength sports and bodybuilding, and accelerates muscle recovery after strenuous exercise. For this reason, preparation Scitec Guarana is willingly used by people Training bodybuilding and fitness, as well as active individuals wishing to secure the highest efficiency during training. - Preparation intensifies the effects of fat reduction. Use 1 serving (2 tablets) per day 30 minutes before workout. Do not exceed the recommended daily servings for consumption. Składniki: węglan wapnia, ekstrakt z (nasion) Paullinia cupana, nośniki (celuloza mikrokrystaliczna, koloidalny dwutlenek krzemu), smary (talk, stearynian magnezu). High quality mint in easy-to-swallow capsules. Wide pro-health effects: promotes proper liver function, facilitates relaxation after a hard day and improves mood. It is also attributed to alleviation of gastric problems, including bloating and nausea. Put on natural substances!